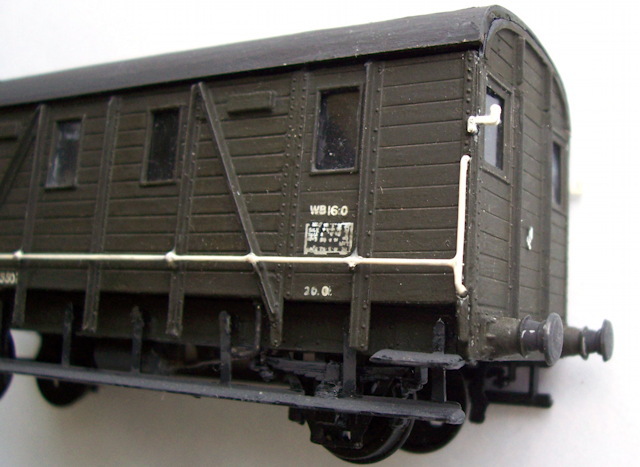 and of a model of the Ballast Brake van conversion made from the parts supplied in the kit. 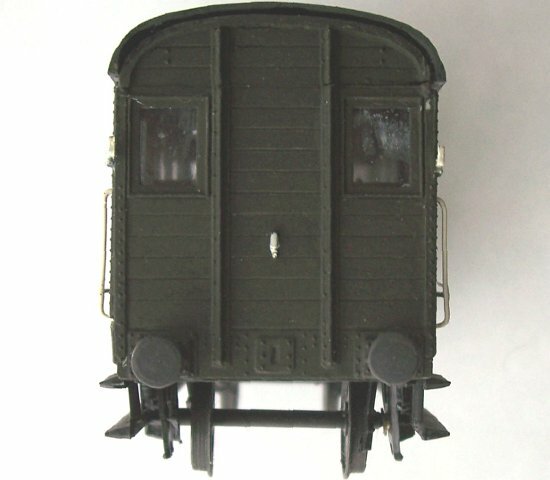 SECR Brake: cabin end. 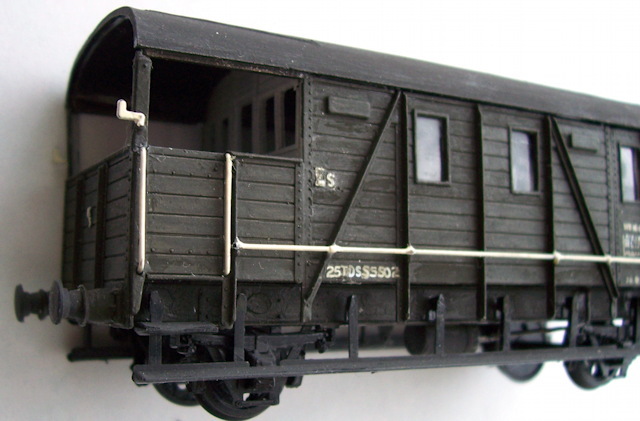 Note that the red paint is incorrect – SECR vans did not have this. SECR Brake: partial view of underframe. Note the red rust on the ends of the spring leaves. 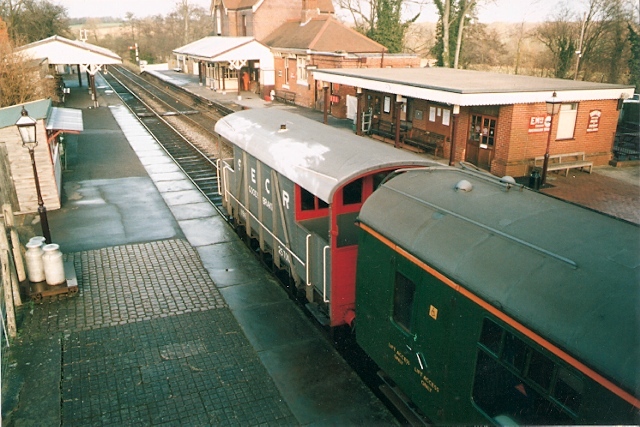 SECR Brake: view of roof – the roof colour would have stayed looking like this for long! SECR brake: end view. Light grey or cream underside of the verandah roof. 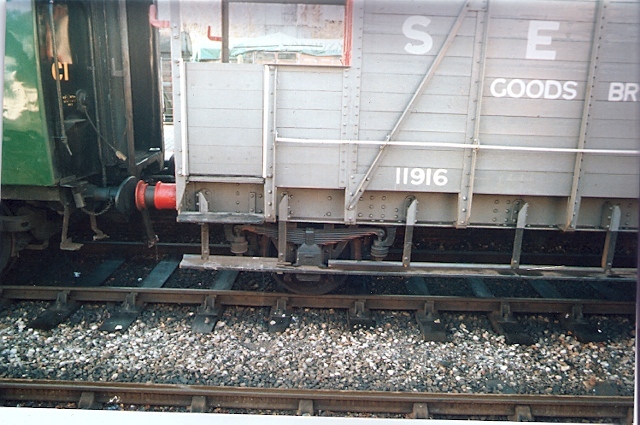 SECR Brake: side view of Ballast Brake conversion, showing windows and side vents. The steps were not altered. 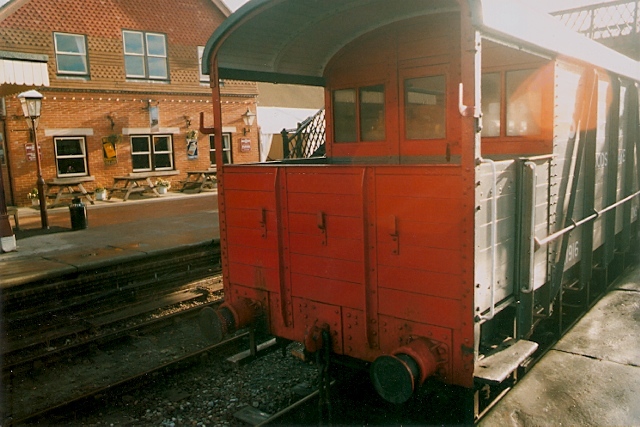 SECR Brake: verandah end of Ballast Brake van. 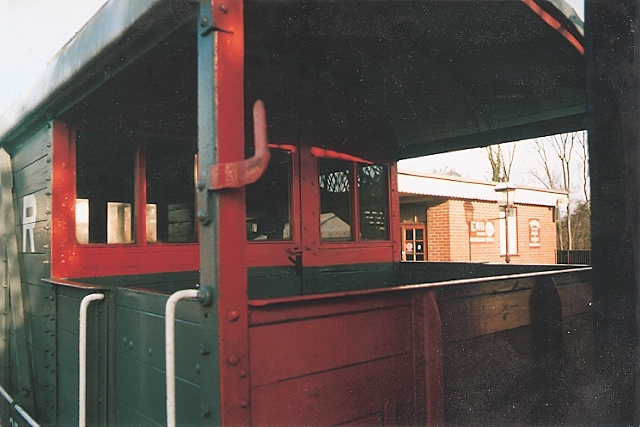 SECR Brake: closed in end showing windows. This page uses 2 Column Liquid Layout by Matthew James Taylor.